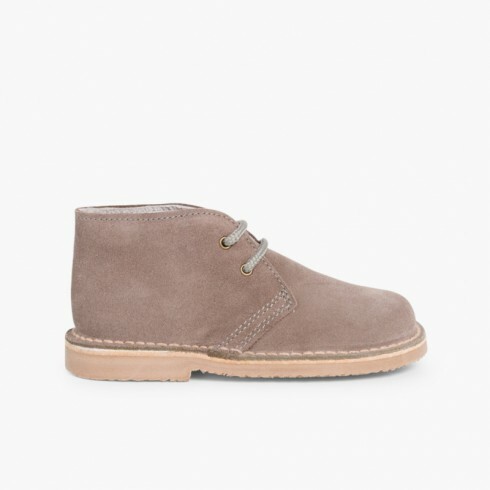 These safari boots for girls have many different names, you might have known them as chukka boots, suede desert boots... An all-purpose footwear that will keep up with their energy. These girl boots are really resistant and completely manufactured in Spain. . Available in a wide range of colours. Perfect for everyday wear and combinable with any outfit, whether they wear trousers, leggings or skirts with wool tights. And we have them with riptape or lace up fastening for higher comfort. You will be able to fill your girl's wardrobe with our online shoe collection without leaving the comfort of your home. 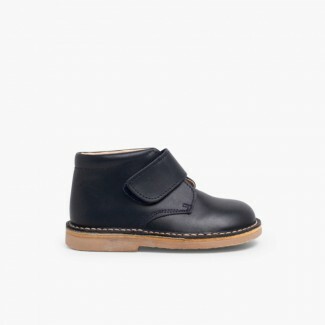 Also, at our shoe store you will find all the models of kid's footwear you are looking for, such as our Mary Janes , wellies, or wool tights, .. all at the best price and with the highest quality. Pisamonas: the kids shoes you are looking for, for the prices you can't find! !